The uniqueness and finesse of the 2.81 distillation system is what sets Mortlach apart from the ordinary, and finally burgeoning one of the world’s most richly flavoured Single Malt Scotch Whiskies. Mortlach, one of Scotland’s finest single malts left a memorably tantalising and incandescent experience for Malaysians at its official launch recently. 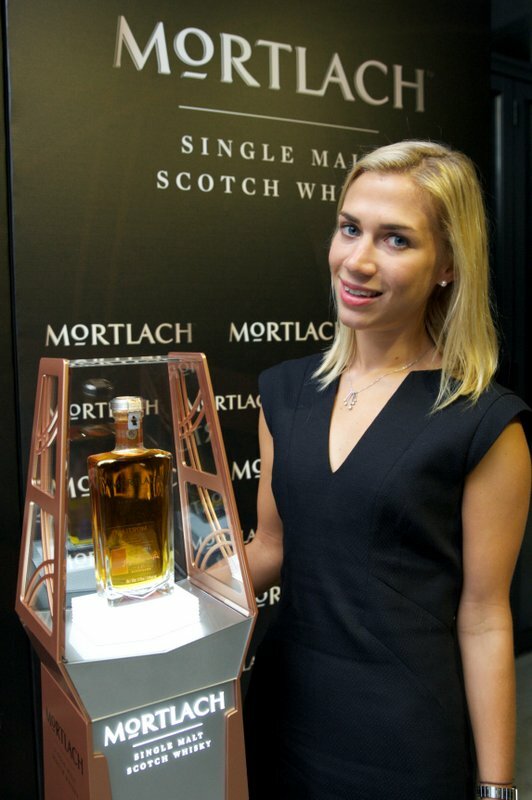 Debuting in Malaysia for the first time was Global Brand Ambassador for Mortlach and whisky expert, Ms. Georgie Bell, a fine lady of respect in the realms of whiskies who gained a Diploma in Distilling with the Institute of Brewing and Distilling as well as a scholarship from The Worshipful Company of Distillers. 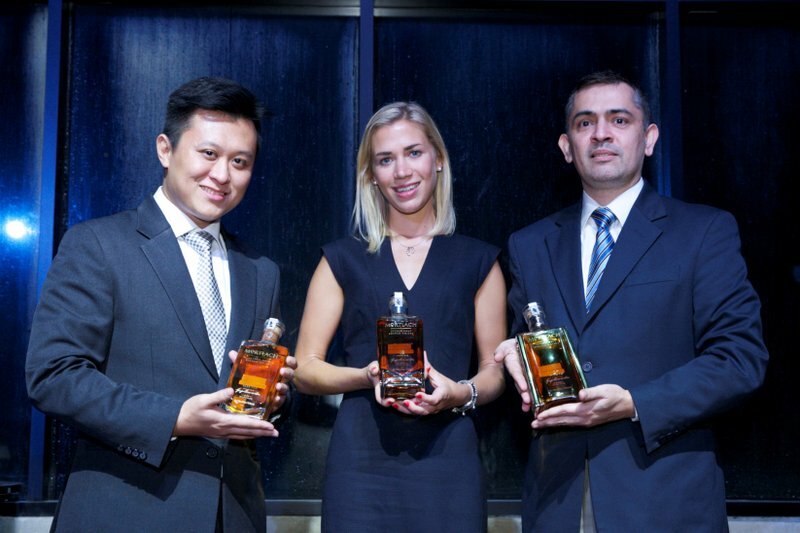 (L-R) Ryan Tann (Brand Manager, Johnnie Walker Super Deluxe & Reserve), Georgie Bell (Global Brand Ambassador of Mortlach) and Rajesh Joshi, (Marketing Director of Moët Hennessy Diageo Malaysia) welcomes the arrival of world’s most revered Single Malt Scotch Whisky – Mortlach. “Mortlach is rich in illustrious heritage; it embodies the brave vision of its entrepreneurial founders, the Scottish civil engineer George Cowie and his son Dr. Alexander Cowie. Together, they personified the values of great Victorian leaders, harnessing their technical and scientific skills, birthing an innovation so rich in flavor through the precision, uniqueness and finesse of their 2.81 distillation system – a distinction that sets Mortlach apart from the ordinary, and finally burgeoning one of the world’s most richly flavoured Single Malt Scotch Whiskies,” said Ms. Bell. Global Brand Ambassador for Mortlach and whisky expert, Georgie Bell (left) with Mr. Rajesh Joshi (right), Marketing Director of Moët Hennessy Diageo Malaysia, celebrating Mortlach’s debut in Malaysia. Now available in Malaysia, the three new expressions aimed at global travel and the luxury connoisseurs, are poised to redefine luxury in single malts for an impeccable experience: Rare Old, 18-Year-Old and 25-Year-Old, in which both was awarded the best malts in its category at the recent International Spirits Award 2015. 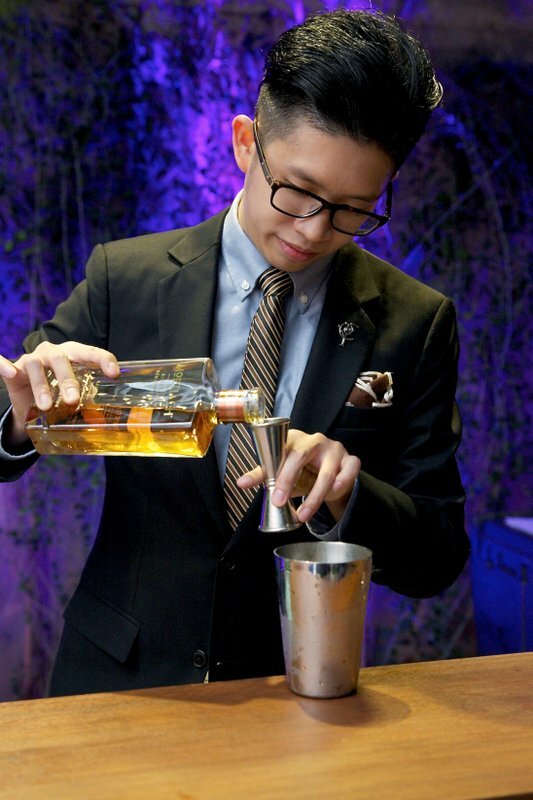 Shawn Chong, Diageo World Class SEA Bartender of the Year 2015, was present at the launch as he concocts a cocktail with Mortlach Rare Old, which is one of the three expressions that are now available in Malaysia. Individual and unique to the palate, the Rare Old Mortlach, carries Mortlach’s signature exquisite balance of sweetness and dryness, infused deliciously with the whisky’s fruit and flora notes; while the 18-Year-Old Mortlach creates a compelling and delectable expression characterised by fine interplay of meaty notes, malty sweetness and balancing acidity, which is best enjoyed straight; the 25-Year-Old Mortlach on the other hand, pulls together a highly complex and multi-faceted combination of roasted spices and almost animal intensity with dense layers of decadent sweetness. Georgie Bell brings the guests on an interactive Mortlach journey as they submerged in the story and the rich illustrious heritage of Mortlach, fully appreciating the qualities of the ‘Beast of Dufftown’. Inspired by the Golden Age of Engineering in which the liquid was born, Mortlach, the pinnacle of luxury and sophistication dons a striking and iconic contemporary-style, boasting structures engineered to protect and enhance the fine whisky it contains with strong lines and generous decanter-style necks. Hosted by Ms. Mortlach herself, Georgie Bell composed and conducted a beautiful launch lavished with exquisite treatments for guests to gain a premier Mortlach experience. Guests were whisked away on an interactive Mortlach journey, as they submerged themselves in the story and heritage of Mortlach, fully appreciating the qualities of the Beast of Dufftown. Senses were heightened as guests were given an elevated experience in the dark – a unique whisky tasting session. The new Mortlach expressions including Rare Old, 18-year-old and 25-year-old are now available in Malaysia at all authorized distributors. For more information, please visit Moët Hennessy Diageo Malaysia’s official website at http://www.mhdm.com.my/. Senses were heightened as guests were given an elevated experience in the dark – a unique whiskey tasting session with Mortlach 18-Year-Old and Mortlach 25-Year Old, in which both was awarded the best malts in its category at the recent International Spirits Award 2015. Arthur Tan, Participant of Fear Factor Selebriti Malaysia Season 1 @ Cape Town, South Africa, at the official launch of Mortlach. 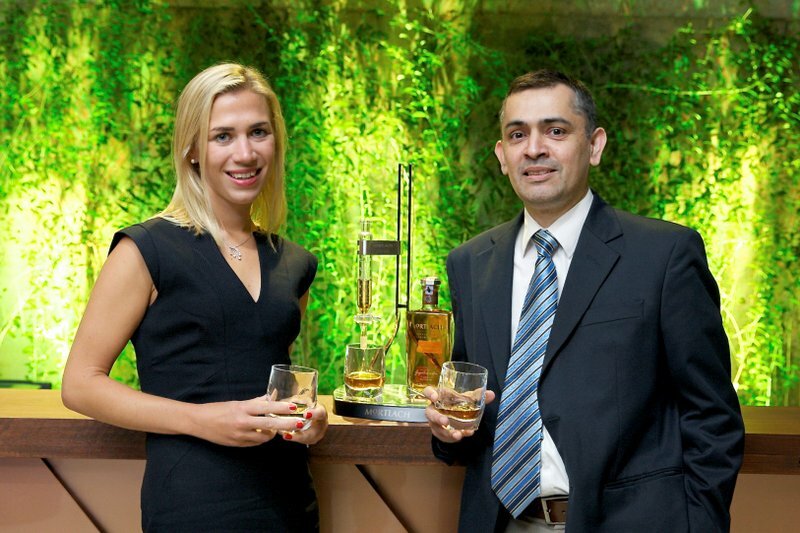 Global Brand Ambassador for Mortlach and whisky expert, Georgie Bell (left) with Mr. Rajesh Joshi (right), Marketing Director of Moët Hennessy Diageo Malaysia. This entry was posted in News and tagged DIAGEO, Mortlach, scotch, single malt, whisky by TheGoodGoodGuy. Bookmark the permalink.